I am a marine biologist and I got my Ph.D in Biodiversity and Evolution at the University of Bologna (Italy) in collaboration with the Institut de recherche pour le développement (IRD; France). At heart I am a fish biologist, with a keen interest in understanding how natural and anthropogenic processes influence the dynamics of wild populations. My research focus is in the field of population genomics of tunas. After my Ph.D I moved to Berlin (pretty weird for a marine biologist, admittedly) and I am still discovering the great opportunities that this city can offer. 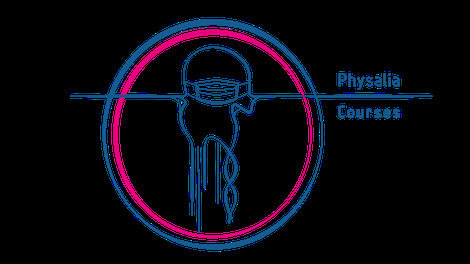 We founded Physalia-courses in 2016 and since then we have run many different courses and Workshops. We have hosted scientists from different academic institutes distributed worldwide. Attendees were mostly PhD students and postdocs, followed by PIs and technicians. The name of this company clearly reflects my passion for the sea and its organisms. Physalia physalis is in fact a marine hydrozoan (siphonophore) and I have been always fascinated by the way in which this animal lives. It can survive thanks to the interaction of specialized individual organisms called zooids. In the same way, our company can just survive if its different components perfectly work together. In fact this project was finalized thanks to the huge help from Angi, Lisa and Eleder. Each one with specific and different skills that together made it possible to create Physalia-courses. Our main goal is to organize and offer high-level scientific courses and workshops, in which the partecipants can learn and acquire new skills and knowledge in specific topics of their interest. In addition, we also want to create the perfect conditions in which scientists from all over the world can share ideas and build new collaborative networks.